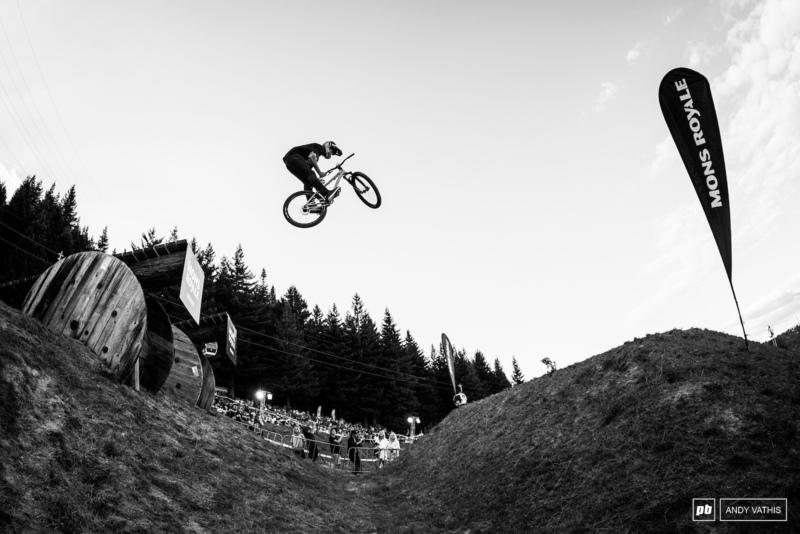 Dual Speed and Style has grown to become one of the highest ticket events at Crankworx. 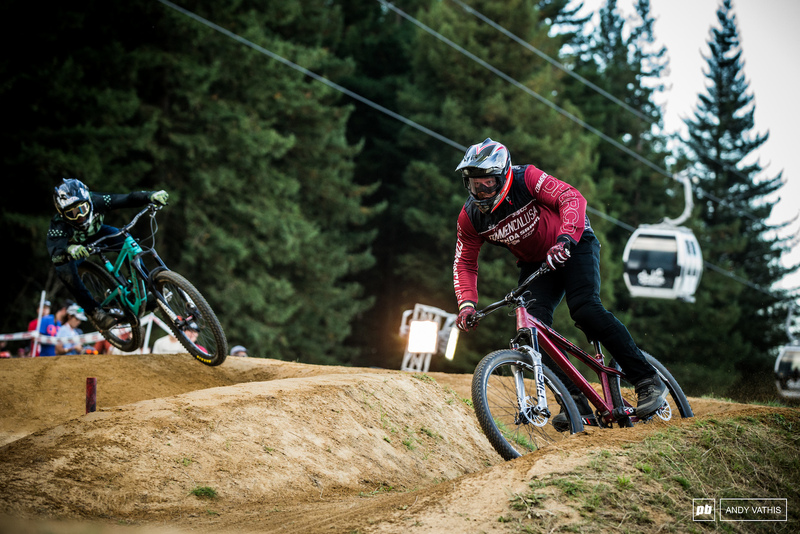 The free-racer's dream, a combination of dual slalom speed and a deep bag of tricks are needed to take the crown. 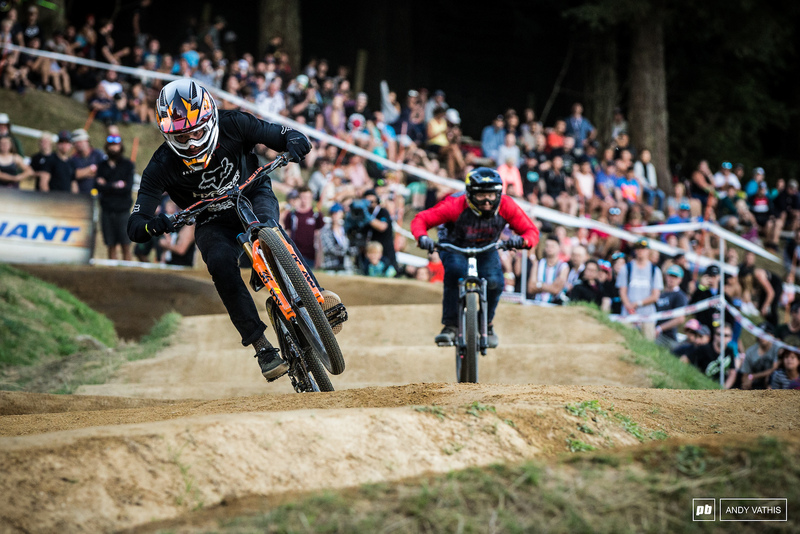 Soderstrom won here last year and he took to the line as favourite once again in 2019. 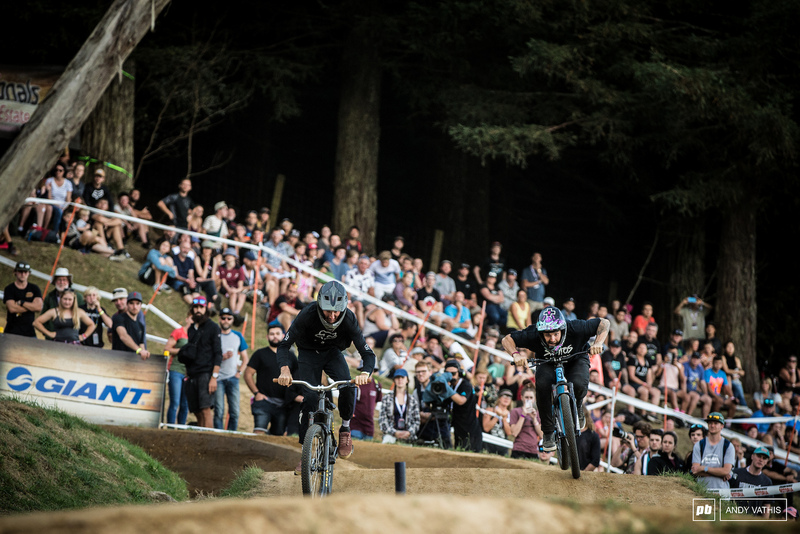 The event was not free from controversy as Greg Watts felt he was misjudged in his semi final, leading to a confusing 20 minutes where scores had to be adjusted and times recalculated. 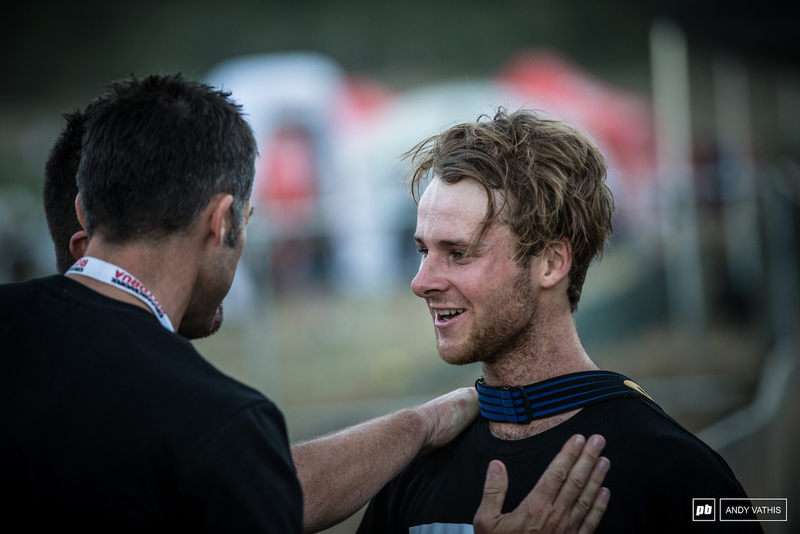 It didn't count for much in the end as Billy Meaclem still progressed. On the other side of the draw, Lemoine, who won two of the events last year, battled through to the semis but blew his tyre on the first hit, handing it to Soderstom. 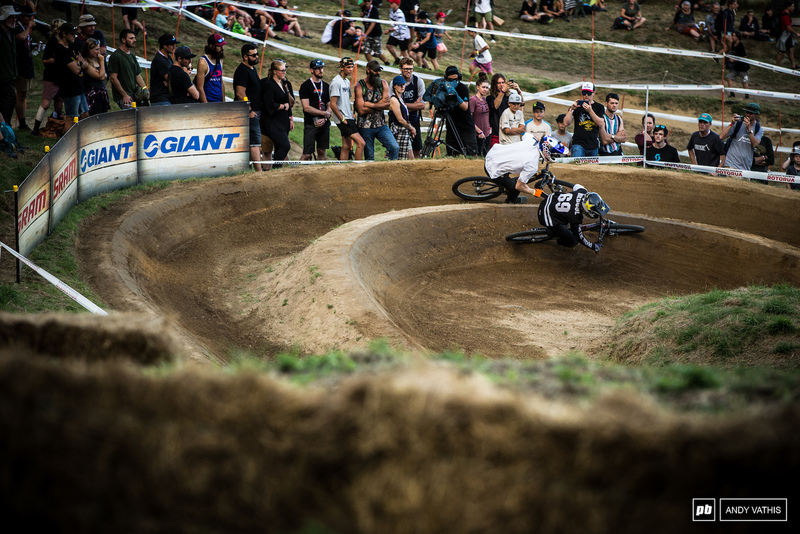 Watts and Lemoine battled for bronze but Lemoine went down in the first berm. 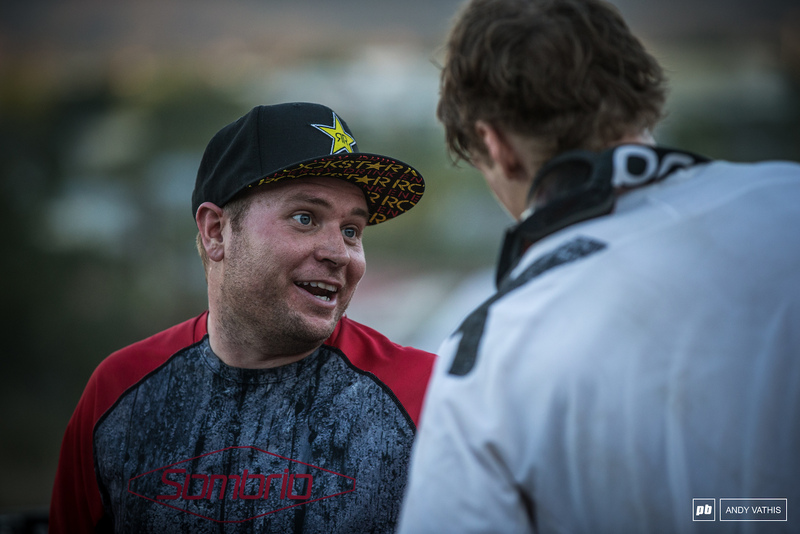 Igold medal event, there was another crash but this time for Soderstrom. It was another hugely popular win and the first of two big results for Billy Meaclem in just one day. 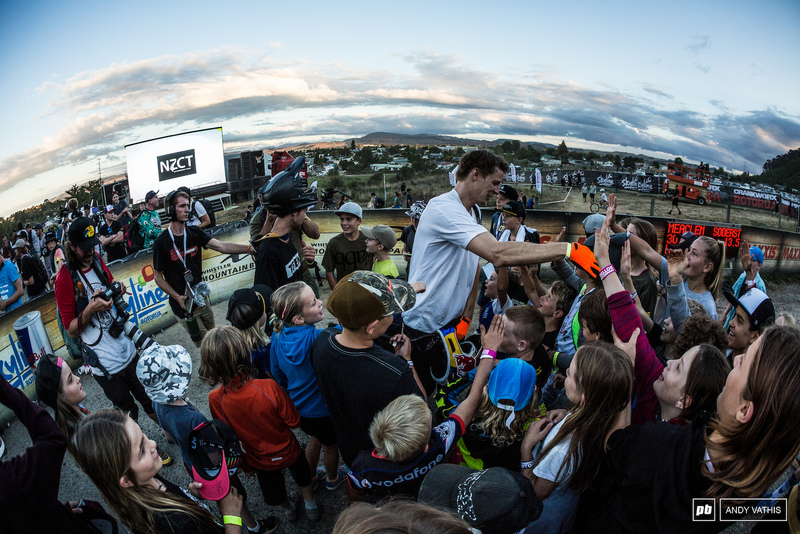 Martin Soderstrom is one of the favorites to win here. The slope rider is known to have a lead foot as well. 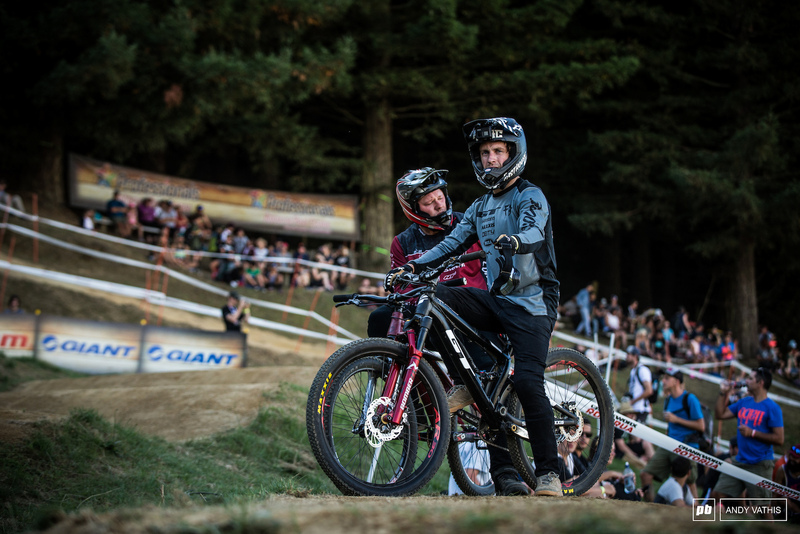 Pre-game with Tyler McCaul and Kyle Strait. 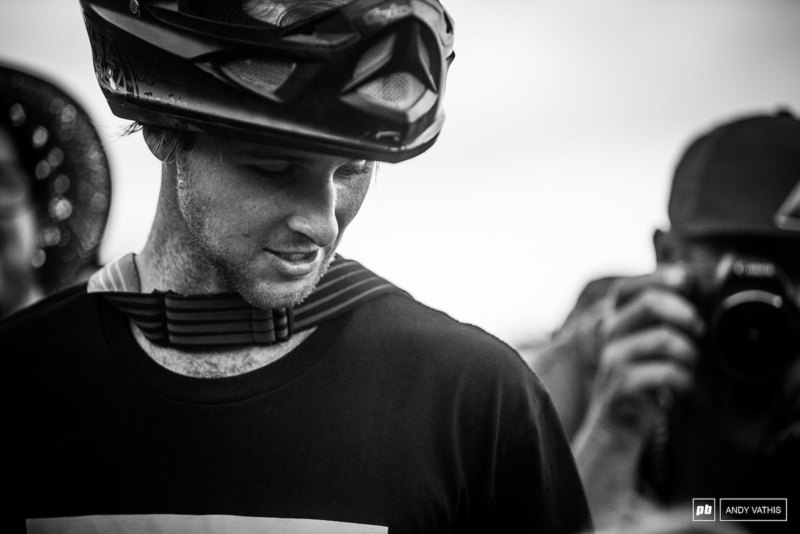 Bas Van Steenbergen may not have the bag of tricks possessed by most of the field yet made it through qualifying. The first heats were relatively closer match ups than the other rounds. 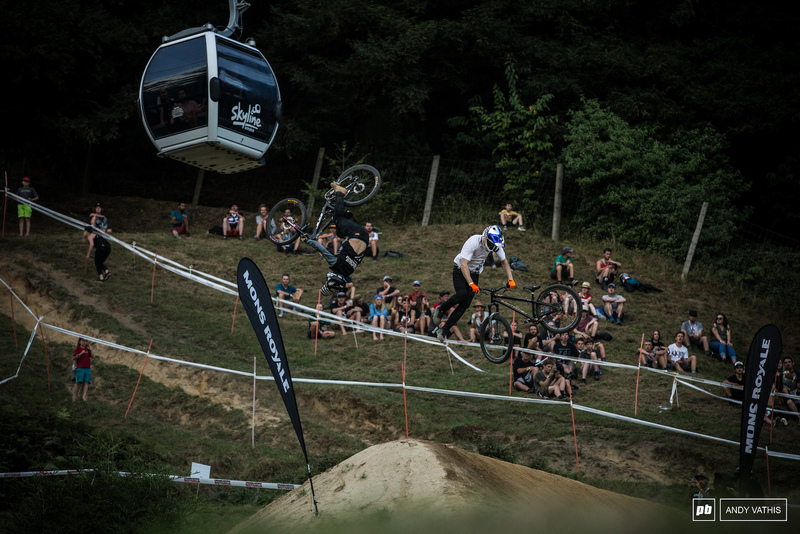 As the evening wore one, fewer riders made it to the bottom unscathed. 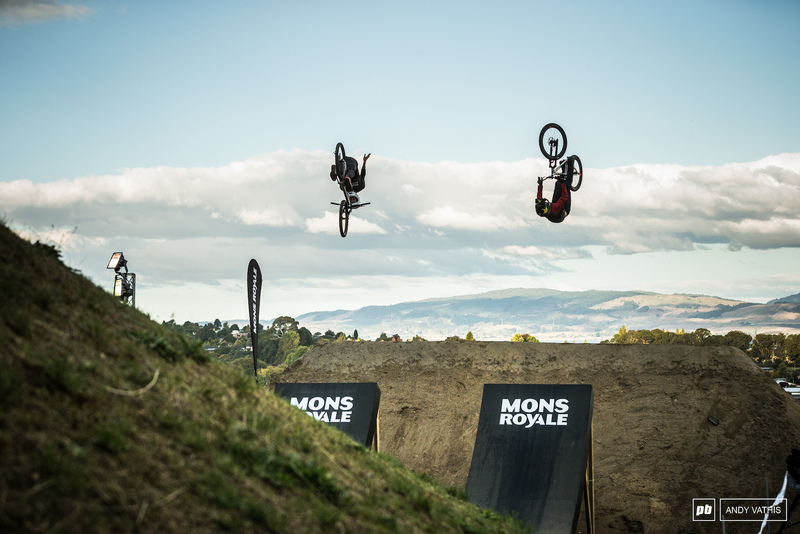 Tight brackets like this one with Martin Soderstrom versus Louis Reboul kept the field on their toes. Nothing came easy early on. Kyle Strait was gaining traction as the heats kept on. 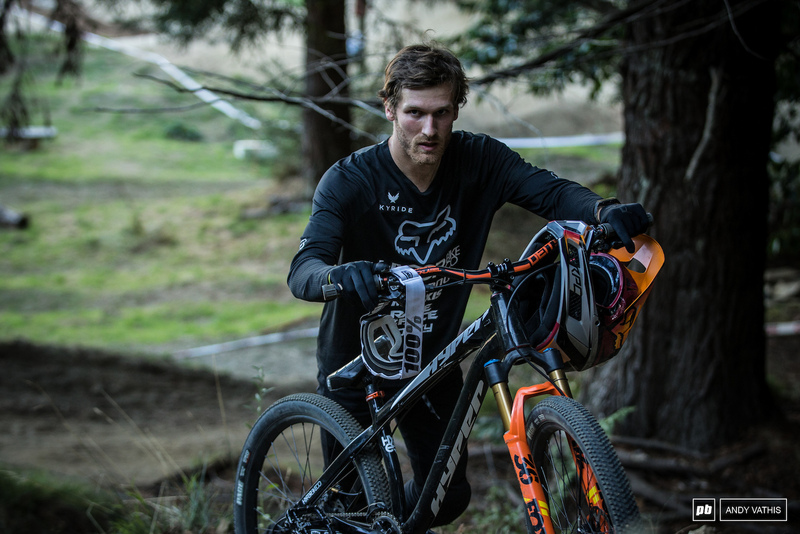 Bas Van Steenbergen running on speed but lacked a few points in the tricks department to move on further. 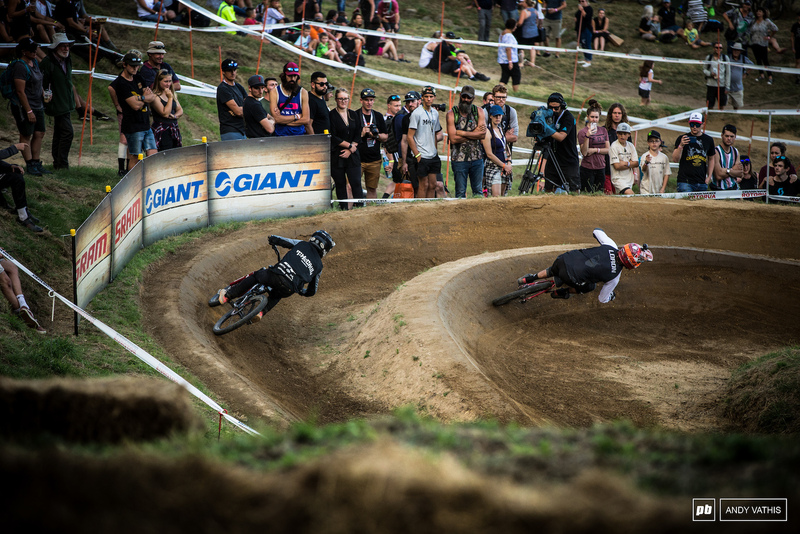 Tyler McCaul chasing down Adrien Loron, and overtook him not long after. 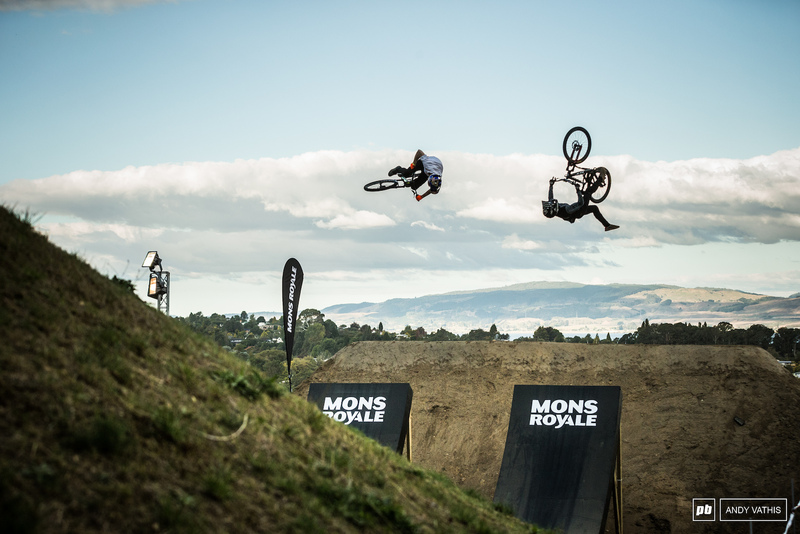 Tomas Lemoine's last fighting chance before his tire decide it had enough in the next wave. 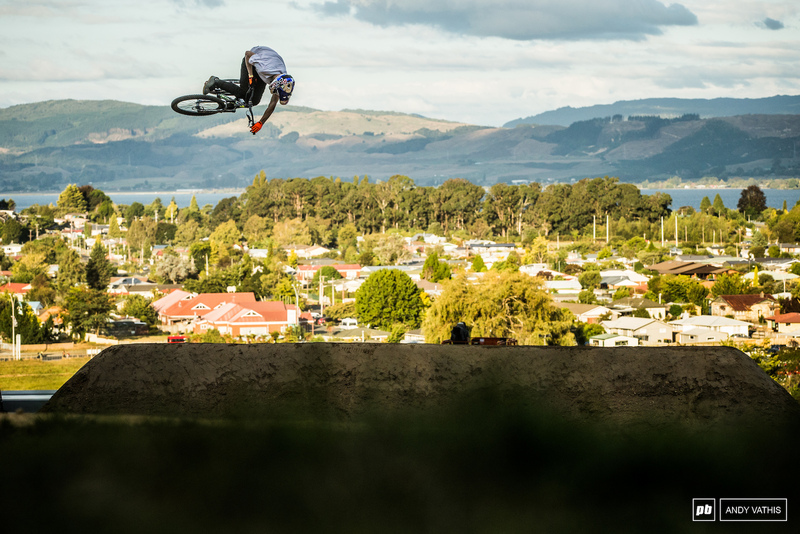 Tomas Lemoine was destined for glory yet after a mechanical, he just couldn't shake it out of his head. 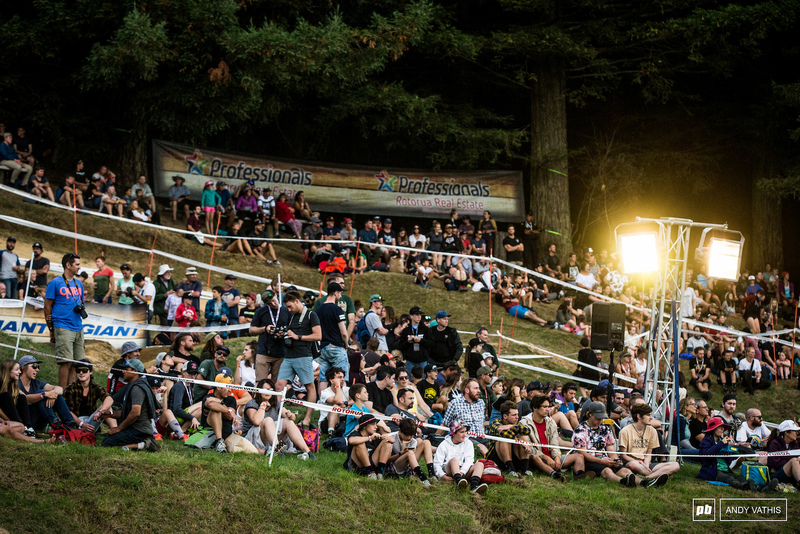 The crowds came out in full to watch the epic battles go down. The icing on the cake being the Whip Off once the racing was done. 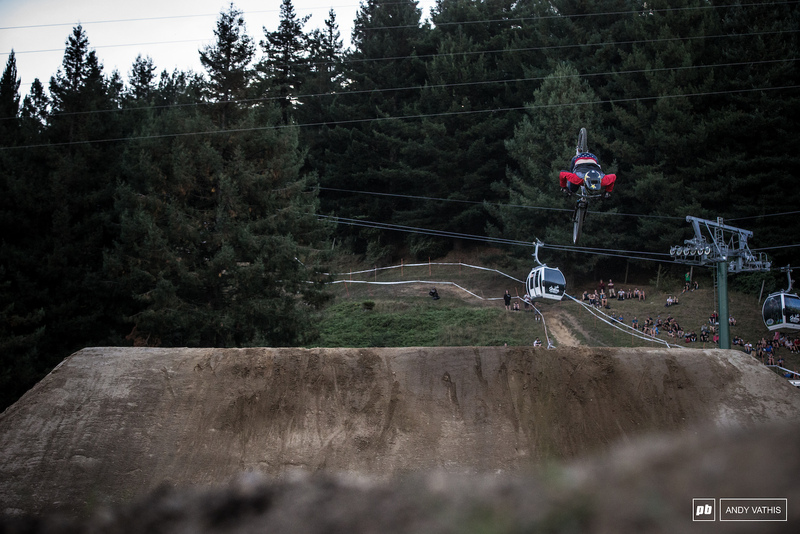 Martin Soderstrom with the sky to himself. 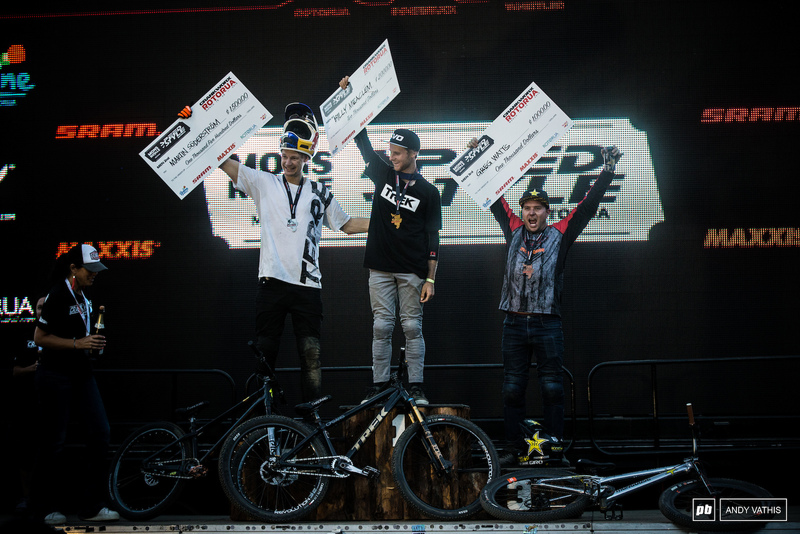 The Soderstrom versus McCaul bracket was anybody's game. 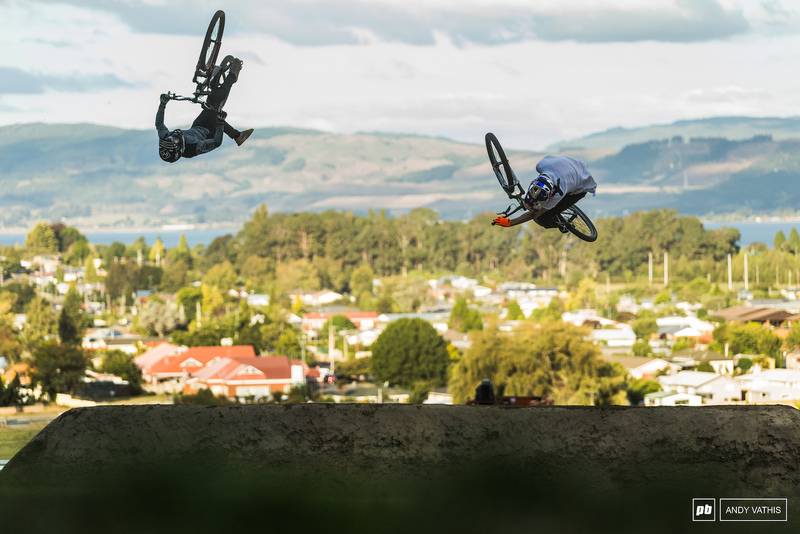 Tyler McCaul and Martin Soederstroem in one last attempt to out do each other. Neck and Neck in the quarter final for Watts and Viktor Douhan. 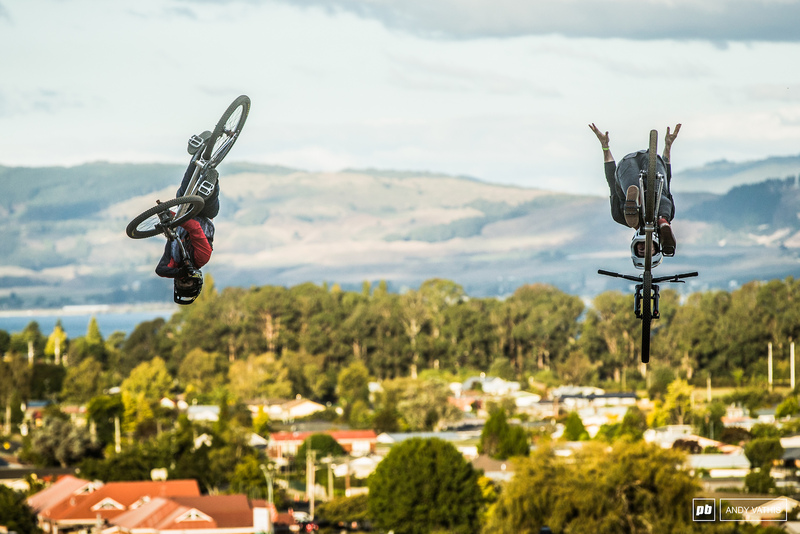 Greg Watts flipping into the bronze medal. 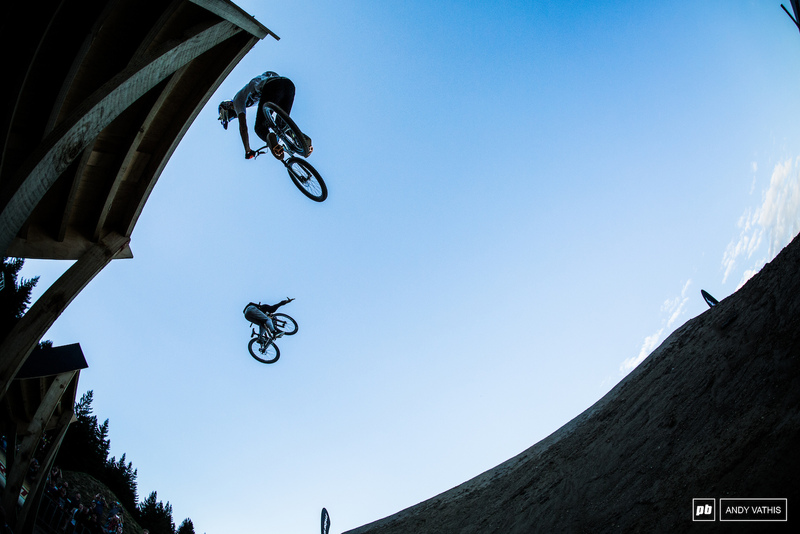 The master, Martin Soderstrom, gave it his all to defend against the underdog, Billy Meaclem. 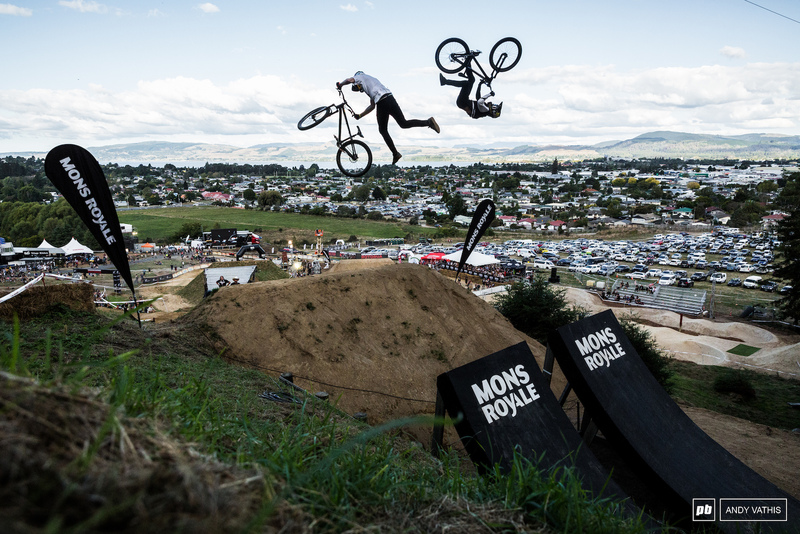 What a day of competition it's been for Billy Meaclem out of New Zealand doing it for the home crowd. Greg and Martin exchanging laughs. A swarm of young fans fighting over goggles and a chance at a high five. 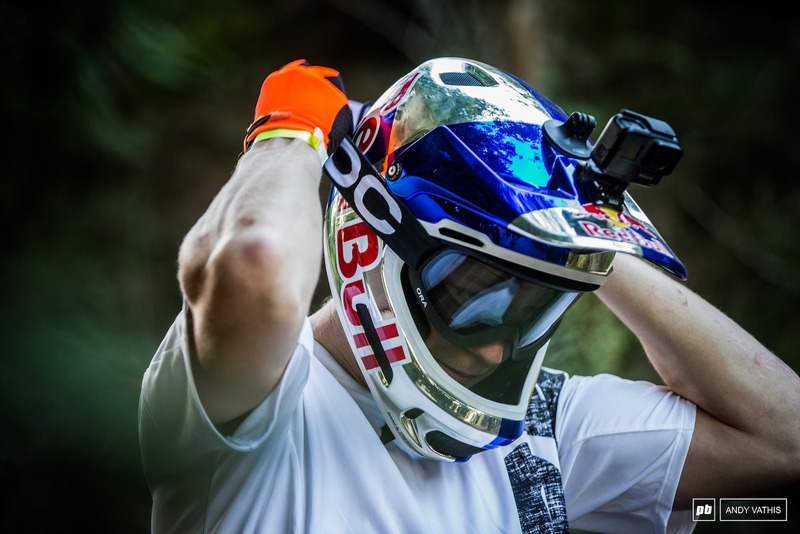 Clever move by Billy to wear a helmet relatively devoid of stickers. A blank canvas, as it were. "Your logo here!" Curious to know who will snap him up. Well done, Billy. Yeah that was rad. Same with watching Straight pick lines through the pumps figuring out what to pump, manual, double. 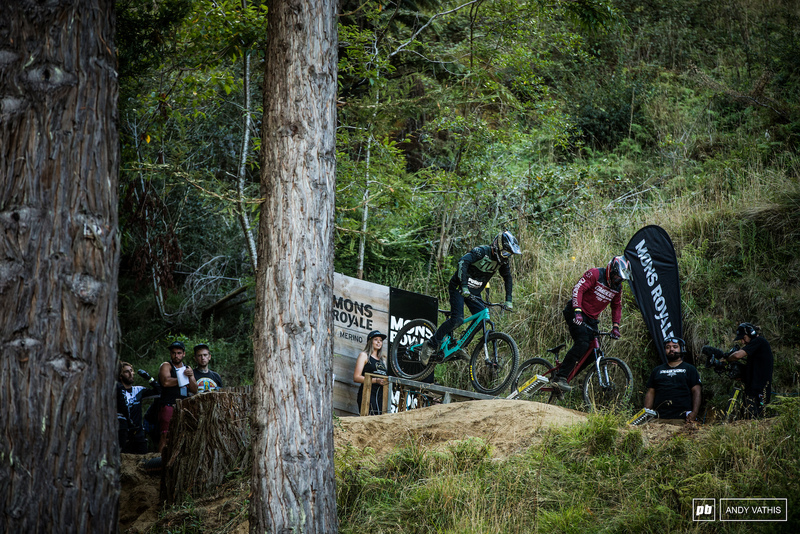 I've had a really hard time explaining this event to non-mountain bike friends. Stop all the tricks please.